Young boys learned mechanical skills as apprentices, working under master craftsmen. However, apprentices also applied their own creativity in the fashioning and decorating of objects. Views of actual workshops can help us to understand the process of designing and making objects. 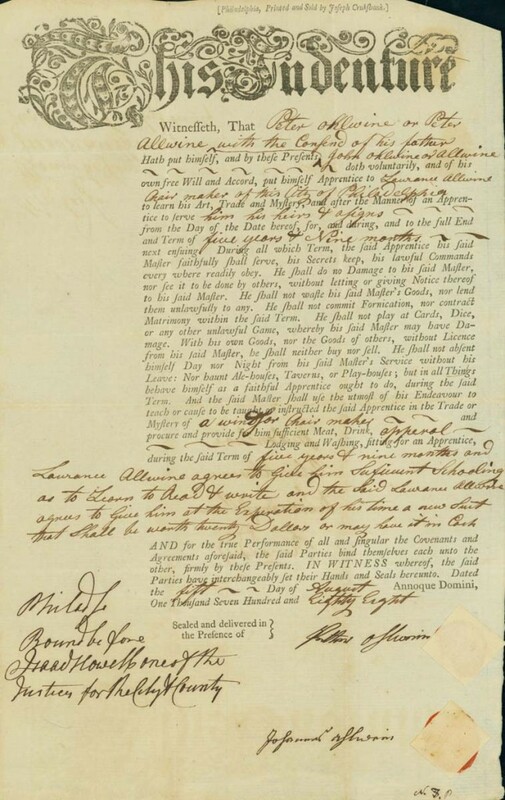 This indenture is the legal document establishing the apprenticeship of young Peter Allwine to his uncle, Laurance Allwine, to “learn his Art, Trade and Mystery” of making Windsor chairs—for a period of five years and nine months. 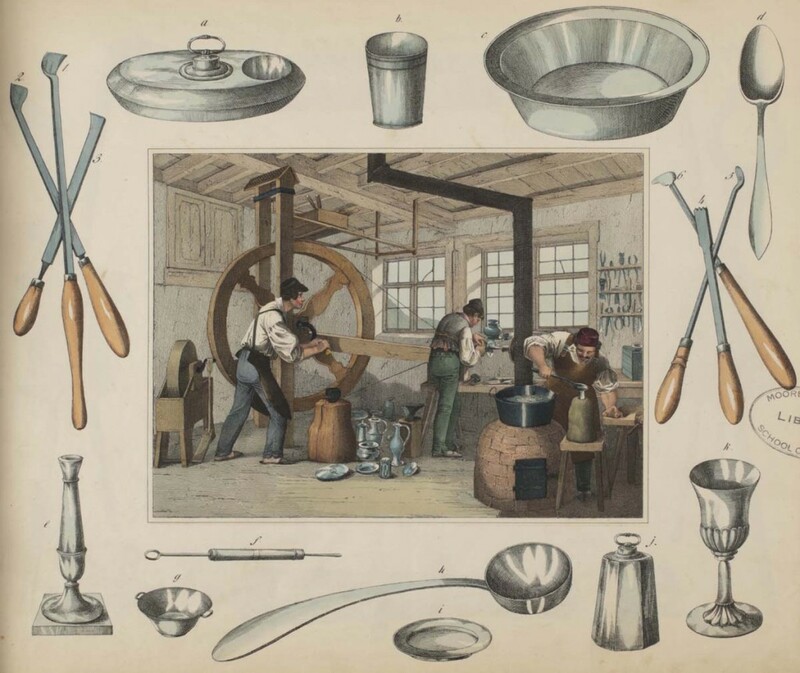 This plate showing a pewterer’s workshop has a decorative border filled with the craftsman’s tools and products. The detailed scenes in 30 Werkstätten von Handwerkern (30 Workshops of Craftsmen)illustrate rarely seen interiors of shops from the 1800s. 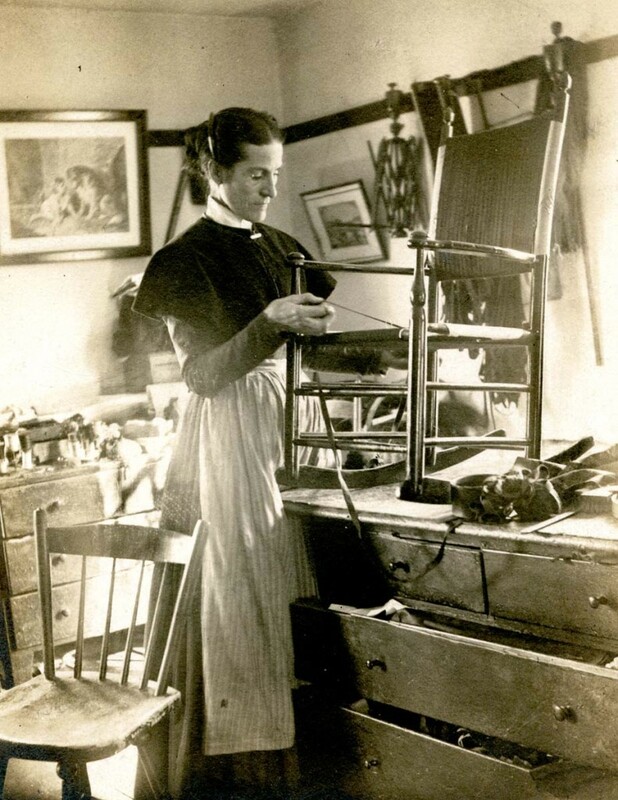 In the photograph, Sister Sarah Collins is seen weaving a cloth-tape seat similar to the one on this armchair. Sister Sarah was the last Shaker participant in the once-thriving chair industry at the New Lebanon community. 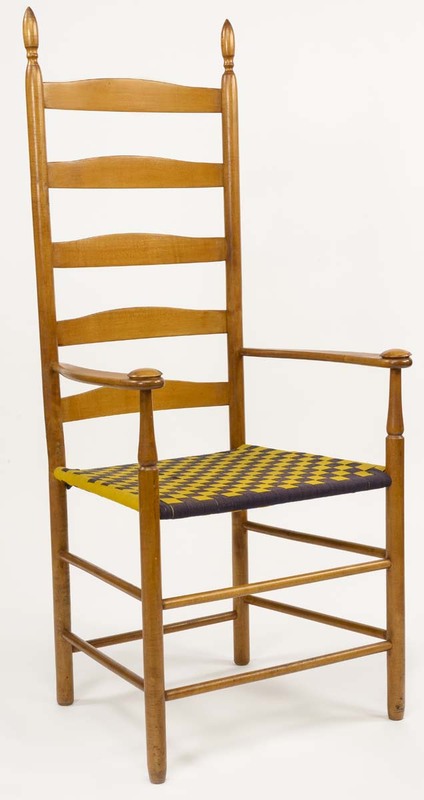 The Shakers were a religious order that lived in communities separate from society. They produced a variety of goods to generate revenue to support their members.